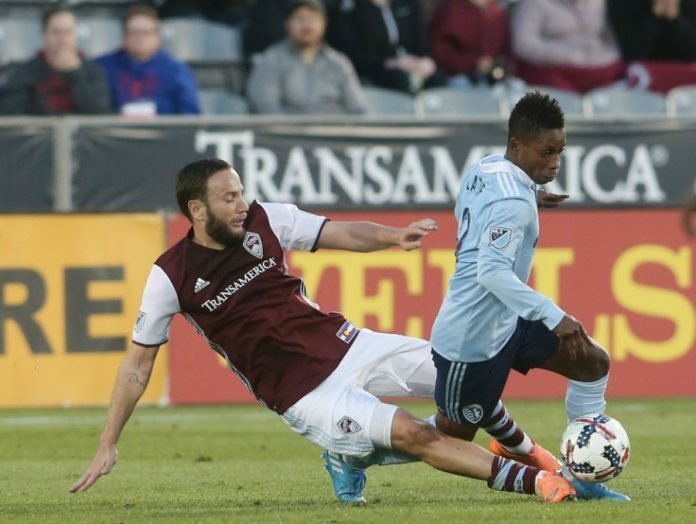 The Colorado Rapids have been playing their best soccer all year over their past few games. Since May 13, the Rapids are 2-2 and have matched their opponents’ goal production with five. In all but one of the games the Rapids have led at halftime and given themselves a legitimate chance at victory. They aim to continue their good play on Saturday night against a solid Columbus Crew squad. The Crew had a run of poor form recently that raised the hope that the Rapids could take advantage of their struggles, but they had a statement win this past Wednesday when they beat the defending MLS Cup champion Seattle Sounders by a score of 3-0. Still, the Rapids can still take advantage of the Crew’s energy, or potential lack thereof. The game on Saturday will be the Crew’s third in only nine days. 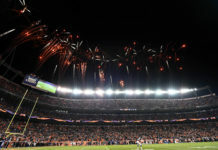 On top of that, they must play in the thin air of the Mile High City (or Commerce City, if you want to get technical). Head coach Pablo Mastroeni said after practice on Friday that the elevation is something that could potentially work in the Rapids’ favor, but he knows better than to depend on something out of his control. 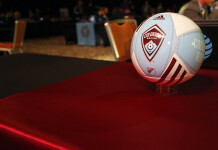 While the situation must be right for the Rapids to be able to fully utilize the altitude to their advantage, Mastroeni said that the team will definitely look to exploit the Crew’s potential lack of energy. “There’s going to be some moments in the game where they’re going to be a bit leggy from having so many games, as we’ve experienced on the road. I think it’s important for us to attack the game in the right way, understanding the moments where we need to step on the gas a little bit and in other moments where we’re setting them up for a break,” he said. The Rapids have a very thin defense available for the match. Star goalkeeper Tim Howard is away fulfilling his duties with the USMNT. Fullback Mekeil Williams is also fulfilling a national team role, albeit with the USMNT’s upcoming June 8 opponent, Trinidad and Tobago. 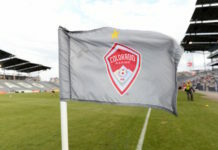 Bobby Burling will be serving a one-game suspension, Axel Sjöberg and Jared Watts will both be sidelined with injuries, and Dennis Castillo is currently on loan with the Rapids’ USL affiliate, the Charlotte Independence. That leaves only four options for the four defensive positions. Last week’s hero Kortne Ford will start at center back, and Marlon Hairston should start at the right fullback position. That leaves the usual left fullback Eric Miller and MLS rookie Mike da Fonte. Given Mastroeni’s proclivity to value defense over offense, don’t be surprised to see him sacrifice Miller’s attacking ability for his defensive ability and place him at the remaining center back position. The tried and true Zac MacMath will fill in for Howard. While Howard and MacMath are different animals, Mastroeni said that his approach to preparation and game planning with MacMath in net doesn’t change a bit. The game will kick-off at 7 p.m. MDT on Saturday. Be sure to get into the stadium early, as the Rapids will be honoring Colorado soccer legend and current Rapids assistant coach Conor Casey by inducting him as the sixth member of the team’s Gallery of Honor.